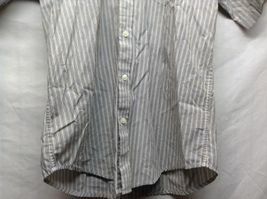 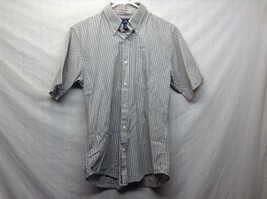 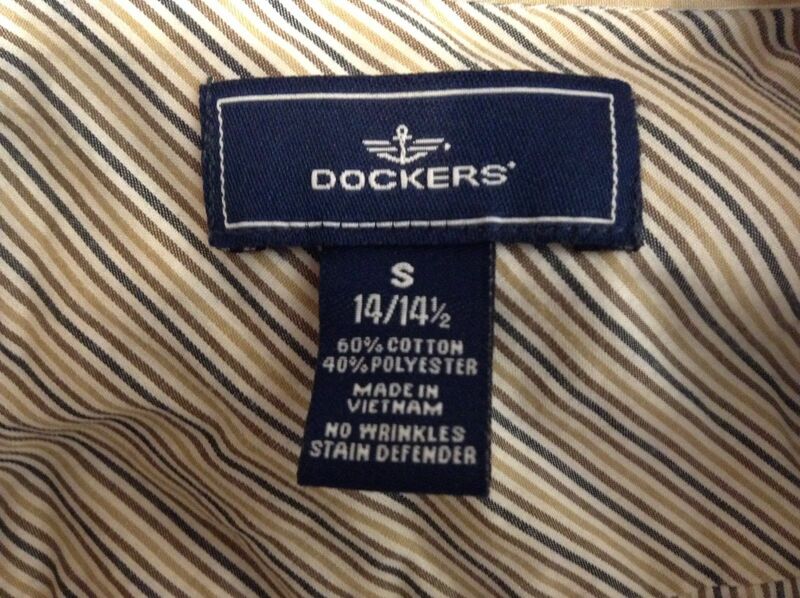 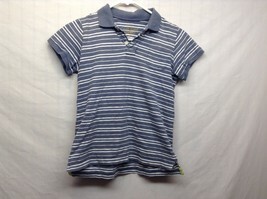 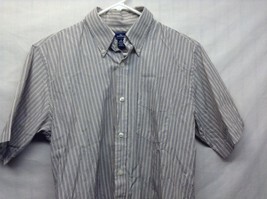 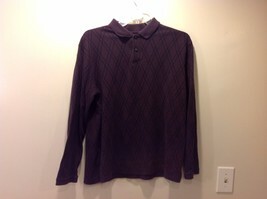 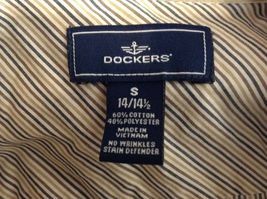 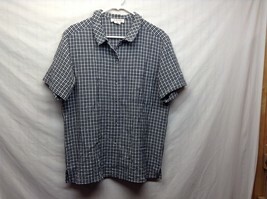 Men's short sleeve, collared, dark-colored shirt by 'DOCKER'S'. 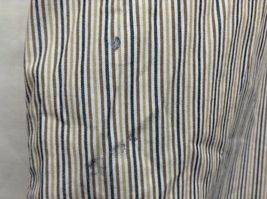 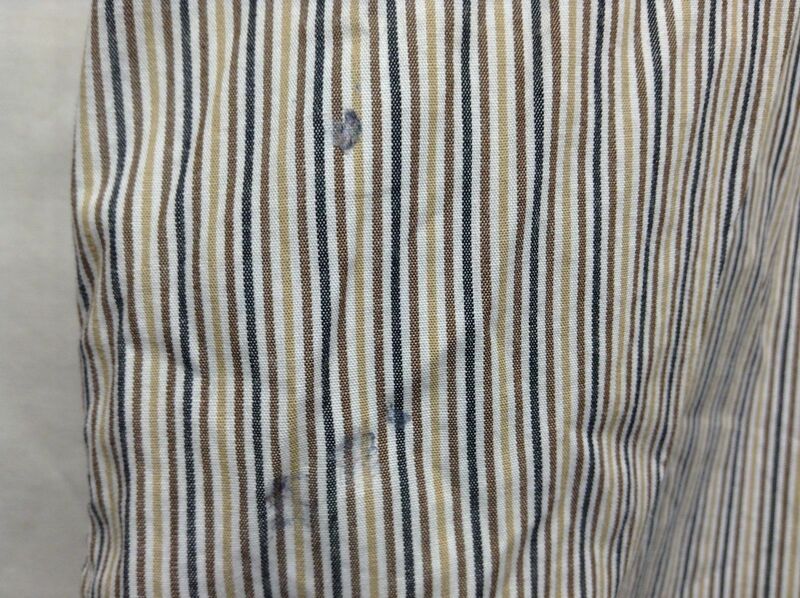 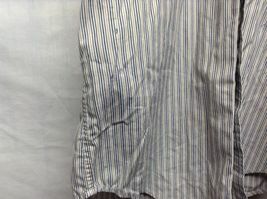 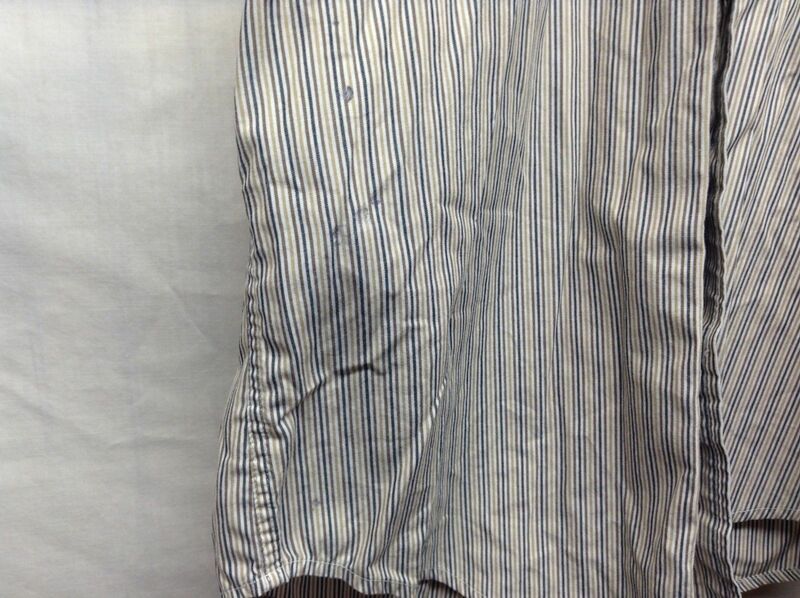 Shirt has dark blue, beige, white and brown vertical lines; shirt is stained on the right side (rib area), but is otherwise in ok condition! 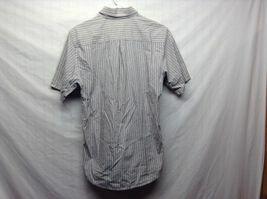 Material 60/40% cotton-poly blend, size 14-14.5!